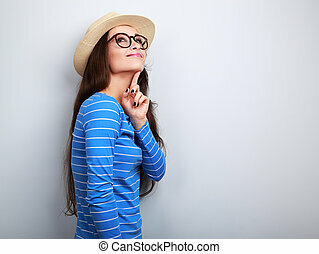 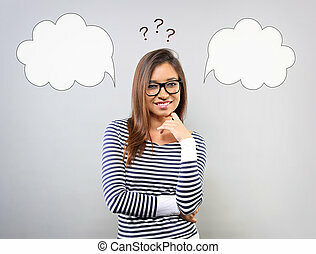 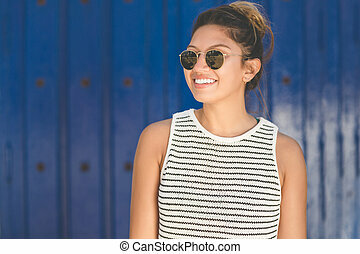 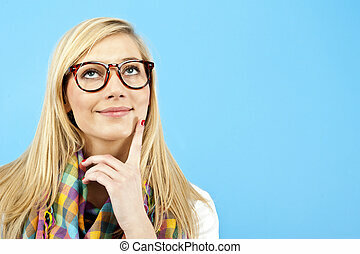 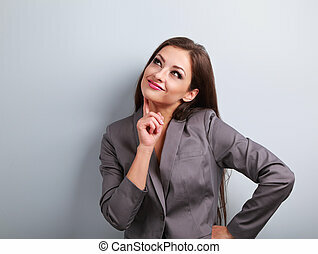 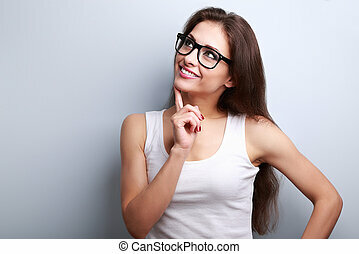 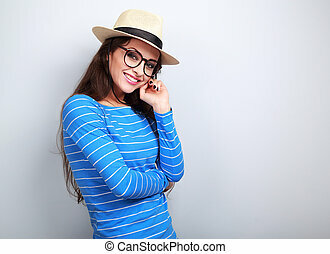 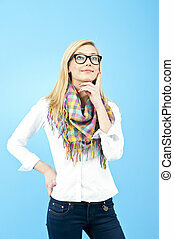 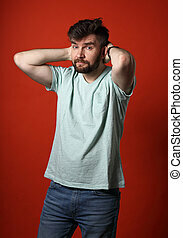 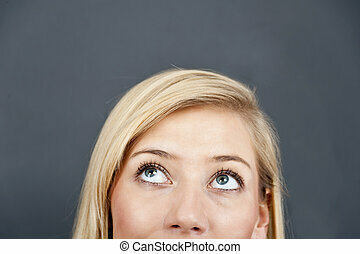 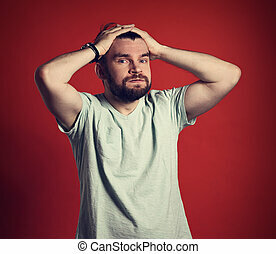 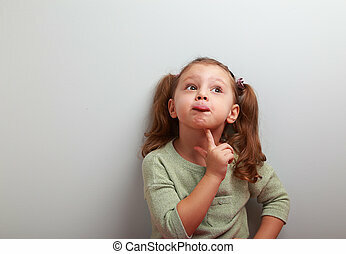 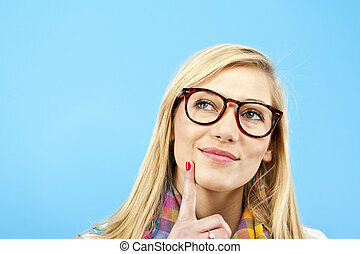 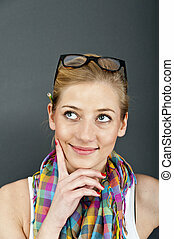 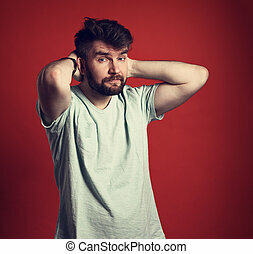 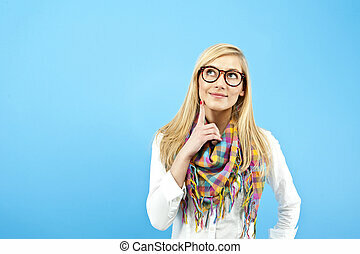 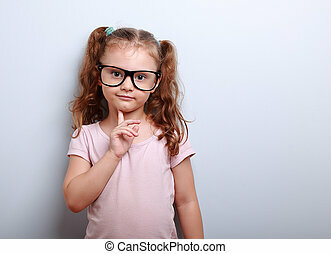 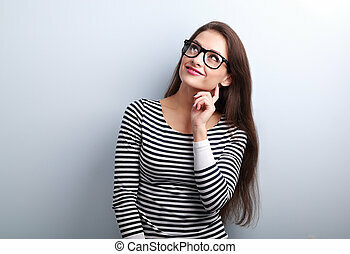 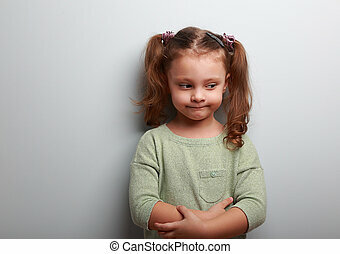 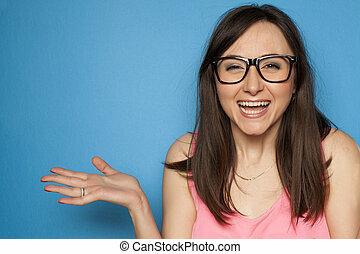 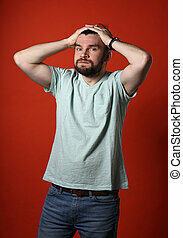 Thinking fun smiling young woman in casual clothing looking up on blue background. 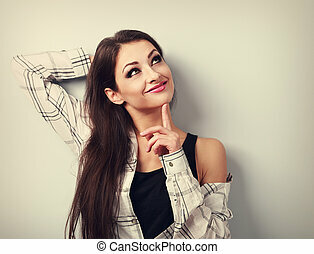 Thinking fun smiling young woman looking up on blue background. 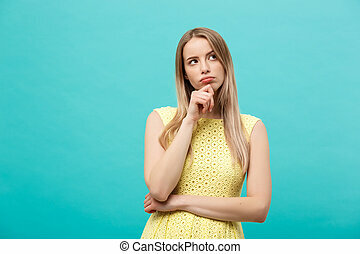 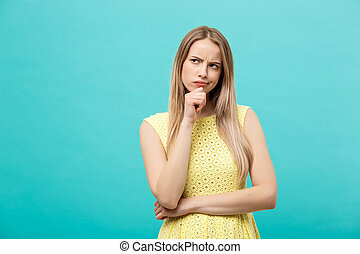 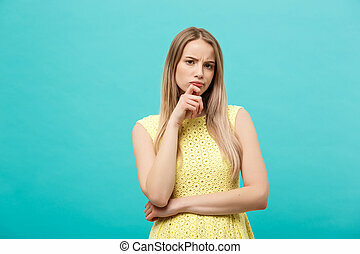 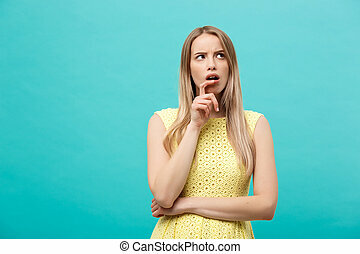 Thinking young confident woman in yellow dress looking up isolated on blue background.